There was exciting talk in 2013 of celebrating the five hundredth anniversary of the building of Lucca’s famous walls with a concert by the Pink Floyd featuring their perennial album ‘The Wall’. The project came to nothing and the nearest Lucca has got to a band performing with the background of its walls is this year’s Stones’ concert due on 23rd September. These ‘May Balls’ have a history dating back to the 1830s. By the nineteen sixties the occasion had become very formal and stuffy. In the flower power year of 1967, however, something changed. The former BBC light -programme-type dance bands were being replaced by some colleges by something more reflective of the considerable social change that was influencing Britain’s youth. Selwyn College, at that time generally regarded as conservative and imbued with Anglicanism, even invited ‘The Who’ to play. The following year my college, King’s, had an awesome line-up including Roy Harper, the Soft Machine and the Pink Floyd. This array, which few Colleges would now be able to afford, was largely due to the efforts of a music student and friend Andy Powell. 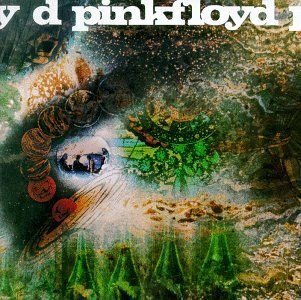 Fresh from Stockhausen’s Darmstadt summer school and impatient with the traditionalist music teaching then prevailing at Cambridge, Andy, through his contacts, invited two of the country’s most avant-garde groups: South London’s Soft Machine and Cambridge’s Pink Floyd. (Incidentally, Andy went on to a brilliant career as music producer – Kate Bush etc., composer, soloist, conductor and festival organiser). King’s college staff was rather taken aback by the fact that Pink Floyd consumed most of the food and drink supposedly laid out for all performers. A strange herbal smoke permeated the Old Master’s Lodge and psychedelic shirts, and kaftans made a striking contrast with conventional penguin suits. Similarly, long flowing hair and skirts contrasted with the more formal evening dresses. 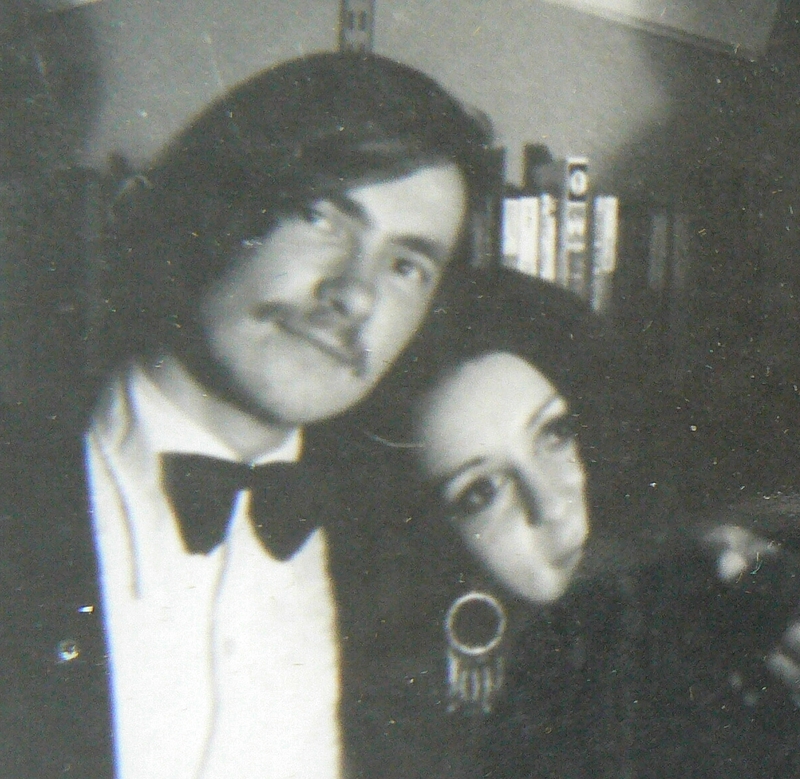 There was a highly visible contrast between the student ‘greys’ in their tweeds and short hair, and the long-haired student ‘hippies’, in the city’s streets. Times were changing fast – too fast for some, to slow for others and the length of one’s hair and one’s clothes really counted for something. They say that if one remembers the nineteen-sixties then one wasn’t there. Memory takes many forms. It can be almost sequentially film-like or it can resemble a collage of images. 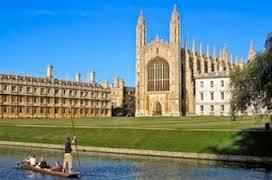 That amazing night and dawn at King’s I still remember vividly, however. Who could forget the setting, the pastoral backs (the green lawns behind the colleges bounded by the punt-populated river) and the perpendicular pageant of the chapel? The final section of the four-part composition, ‘celestial voices’, an extended chorale of almost Bachian grandeur, permeated through the aureate sunrise with wondrous sensation. The voices were truly celestial and we felt transported onto a different planet. I never heard the Pink Floyd live again but in 2005, during my first year with my new life in Italy, I attended the opening of the refurbished main square at Crasciana where I heard a highly convincing Pink Floyd cover band. It was, therefore, a real nostalgia trip when on a recent trip to London I visited the lugubriously named ‘Their mortal remains’ Pink Floyd exhibition which opened last month at the V and A. People joke that after the age 45 every new person one meets reminds you of someone you know. More tragic is when a piece of vinyl one remembers buying and listening to for the first time so recently is now safely locked in a museum display case! The V and A is making a speciality of retrospective pop music exhibitions. Examples include the one dedicated to David Bowie and the one titled ‘You Say You Want a Revolution? Records and Rebels 1966-1970’ which we visited earlier this year. To support the otherwise free museum by charging for special exhibitions, For the Pink Floyd we purchase a timed ticket on-line. To introduce a retrospective introduction to the history of pop music to new generations. To induce a sense of sweet melancholy in those of us who have lived through an age of wondrous development of pop, an epoch which truly defined our generation, our aspirations our loves and our hopes. Here are some photos from that Pink Floyd exhibition which will run until the end of September this year. How it made me feel young and old at the same time! The “Alfredo Catalani” Music Circle of Lucca and Porcari is organizing and promoting three interesting entertainment and music events for July. The first of the events, ‘Affreschi Musicali in Villa’ (Musical Frescoes in a Country House), is a quartet chamber music concert on July 9 at 9.15 pm at Villa Bernardini, which is on the road from Lucca to Pisa at Massa Pisana. The performers are the “Quartetto d’archi Camerata Medicea”. They will play Boccherini, Pachelbel, Handel, Gluck, Haydn, and Mozart. Info and Reservations by phoning 347 9951581. On Sunday, July 16, at 7.30 pm, in collaboration with Palazzo Bove and Lucca’s “Il Pungolo” Association, at Palazzo Bove (Via di Castello, 46, San Gennaro – Lucca), there’s “Burraco a Palazzo”, a charity card Tournament for the AIP (Italian Parkinson’s Association) section of Lucca. In addition to the tournament the evening program also includes: welcome drink, brunch and live music by Antonio Pocai. There will be prizes worth around € 3,000. Hall director is Domenica Giuliani, Referee Filippo S. Farina. On Monday, July 24th at 9 pm at Lucca’s Museo Guinigi (Via della Quarquone, 4 – Lucca), there’s the presentation of the “City of Lucca Alfredo Catalani Prize “, an event now in its tenth year. The award is awarded annually to internationally renowned artists (musicians, singers, directors, painters, etc.) 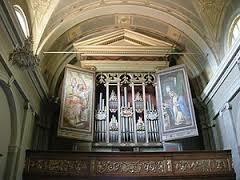 who have contributed to the fame of the city of Lucca throughout the world. For the 2017 edition, the prize is awarded to the young Nicola LUISOTTI, a conductor born in Viareggio, who has directed the orchestras of the most important world theatres. 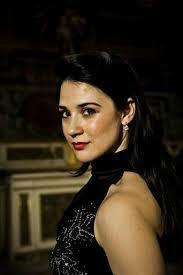 In addition, Michelle Buscemi, soprano and Alessandro Liberatore, tenor will perform with Nicola Pardini Piano. Journalist and musicologist Daniele Rubboli introduces the evening. Free entrance subject to seat availability. Info and Reservations at 347 9951581. The Summer Festival celebrates twenty years of uninterrupted activity thanks to the foresight of its patron Mimmo D’Alessandro, who this year is presenting in Lucca’s Piazza Napoleone some of the greatest names in pop music. 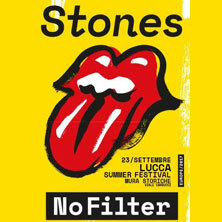 The Rolling Stones, who in September and October will be on the “STONES – NO FILTER” tour in Europe, will perform at the Lucca Summer Festival on their only Italian date on September 23rd at 9.30 pm. The concert will take place in a location never used before. It will have as its backdrop the wonderful Medieval Walls, a famous symbol of the city, which have just celebrated their five hundred years. 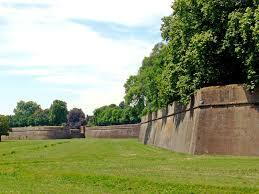 The evening will also celebrate the Lucca Summer Festival twentieth birthday. The three tenors’ IL VOLO ‘Notte Magica’ Tour, which premiered on March 4 at Radio City Music Hall in New York, arrives at the Lucca Summer Festival on July 21st at 9.30 pm. After dates already announced in the main Italian and European cities, Piero Barone, Ignazio Boschetto and Gianluca Ginoble will continue to enchant their audience with further concerts in the most picturesque Italian locations in July. After the huge success of the first part of their ‘Super’ World Tour held last autumn, the Pet Shop Boys return to perform at major European Festivals, including the Lucca Summer Festival on July 31st at 9.30 pm. For over twenty-five years Pet Shop Boys have been regarded as innovators of modern live music shows incorporating multimedia and theatrical elements into their productions. In this tour they will perform an incredible show full of movies, costumes, light games, lasers, choreographies, songs from the latest ‘Super’ album and, of course, many hits. Live arrangements were created along with Stuart Price who produced the Super album. The show is designed and directed by Es Devlin with choreographies by Lynne Page. Advanced bookings TicketOne – Infoline 0584. The Rolling Stones annunciano il tour europeo “Stones – No Filter” e la data italiana. Biglietti in vendita dalle ore 10 di sabato 13 maggio on line su TicketOne.it e tramite Call Center. I possessori della APP Ufficiale The Rolling Stones avranno accesso a una prevendita dedicata dalle ore 9 di giovedì 11 maggio fino alle ore 9 di sabato 13 maggio”. I titolari American Express avranno accesso a una prevendita dedicata dalle ore 9 di giovedì 11 maggio fino alle ore 9 di sabato 13 maggio. The Innocenti is what is known in italian as ‘brofotrofio’ which means a place which cares for children whose parents may be still alive and known but whose circumstances do not permit them to look after their offspring properly. 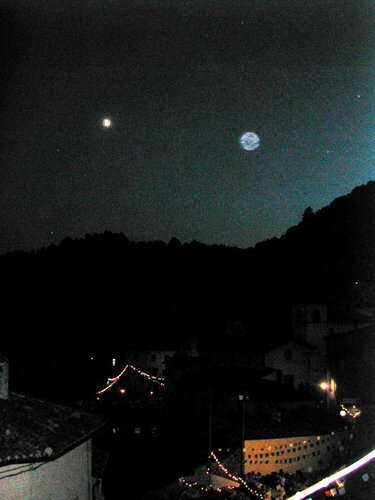 This is to be distinguished from an ‘orfanotrofio’, or orphanage, where children may have lost one or both parents. Attittudes and solutions have, of course, changed over the ages. Finding suitable adoptive families is one answer today for children who have difficulties with their biological parents. Today the situation is even more difficult, as a recent news item revealed when a girl from a strict Islamic family in Florence refused to wear the veil and be forced into a loveless arranged marriage. In other words, she wanted to live the life of just another normal italian girl in the country where she was born and educated in. There are three sections to the museum. 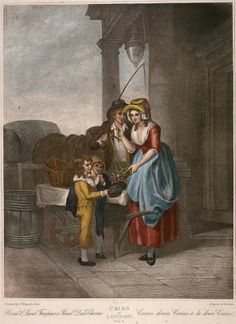 The first is historical and, with the help of interactive displays including archive photographs and recordings, traces the changing attitude towards what in England used to be called foundlings and which prompted Thomas Coram to found the UK equivalent of Florence’s innocenti and, again with generous munificence this time from people like Handel and Hogarth, helped improve life for children without proper families. The drawers with the names of individual foundlings and the objects left with them, such as a coin split into two (so that if ever the day came when the child could find his/her family the other half kept by the family might prove that the child was indeed theirs) and the little biographies taken from the old records are truly touching testimonies of hard times. The third itinerary is the architectural one. With such placidly exquisite cloisters as the two for boys and girls there can be few more wonderful examples of the trancendental change renaissance architecture wrought upon Italian, indeed European, cities. While we visited this lovely place there were dads and mums taking their toddlers to the various departments the institute still manages today after almost seven hundred years continuous service to children and the community. In the evening we were even treated to a fine concert of voci bianche (childrens voices) of the maggio Musicale fiorentino. The programme included everything from renaissance songs of springtime to Benjamin Britten. If anyone thinks there is nothing to beat an anglican children’s church choir they should have been at our concert. It was so wonderful to feel the fluidity of Florentine history through the Renaissance as expressed through its humanity in treating innocent children, in creating new space through its architecture and in envisaging a museum, not yet a year old, that truly gives honour to the city of the lily. Indeed, the Innocenti is a place for all ages in every sense of the word.